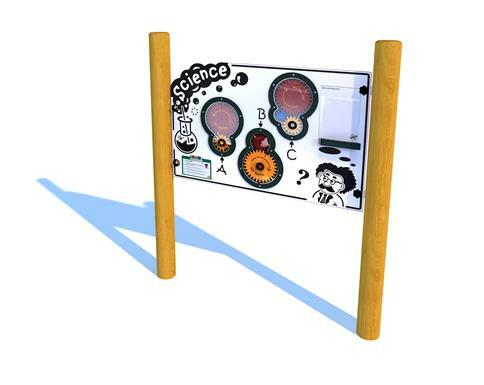 Scientific thinking comes to life through practical experiments especially when outdoors. This excellent and aesthetically pleasing Gears Panel features three sets of gears of different sizes that require different effort to turn and produce speed. A great introductory to scientific concepts including forces, speed and resistance. Children can even jot down the outcomes of their experiments on the available white board - a great way to engage children who find it difficult to stay focused inside of the classroom.